AIR Zimbabwe (Airzim) board chairperson Professor Chipo Dyanda is on the verge of losing her 38-hectare plot in Zvimba over a nine-year-old debt. Zvimba Rural District Council is threatening to repossess the land over an undisclosed amount which Prof Dyanda has allegedly failed to honour. Chief Zvimba raised the red flag in a recent full council meeting when he questioned the status of the plot. “For some time we have been discussing this matter, but how come you are not revealing the amount that she owes council?” he said. In response, Zvimba RDC chief executive officer Mr Peter Hlohla said they had engaged Prof Dyanda and advised her to make a payment plan for the outstanding amount. Mr Hlohla said council was prepared to repossess the plot allocated to Prof Dyanda in 2008 if she continued to breach the lease agreement. The terms of the agreement could not be established. 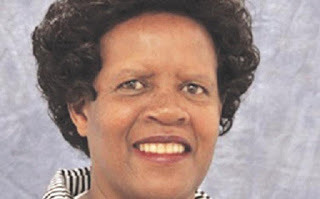 Prof Dyanda was allocated 50 hectares before it was reduced to 38ha after she allegedly failed to honour her obligations. Prof Dyanda is said to have paid an undisclosed amount as deposit in 2008 during the hyperinflation period. She was expected to pay instalments over the years, but council said she failed to honour the agreement.